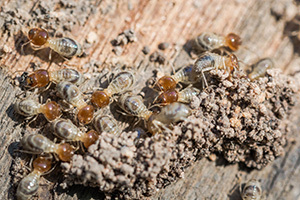 Free termite inspection services are available to homeowners in Solana Beach, California, from the experts at Kilter Termite and Pest Control. Whether you decide to use our termite treatment services or not, we will provide you with an honest assessment of your home’s condition. Our goal is to help homeowners get the knowledge they need to make the best possible decision for their homes. Once we have completed our free termite inspection in your home in Solana Beach, CA, we will outline our approach to termite treatment. We set ourselves apart from our competitors by offering comprehensive and top-notch service. For example, we develop custom treatment plans and have only experienced technicians implement them in our customers’ homes. We also offer optional services, such as wood replacement to help homeowners restore any damage that termites have caused. Unlike traditional methods, such as tenting, our treatment system won’t interrupt your home life because you can stay in your house throughout the process. You also won’t need to worry about potentially unhealthy chemical residue coating all the surfaces in your home. For more information about our termite treatment services and to schedule a free termite inspection at your home in Solana Beach, CA, contact Kilter Termite and Pest Control today.